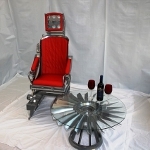 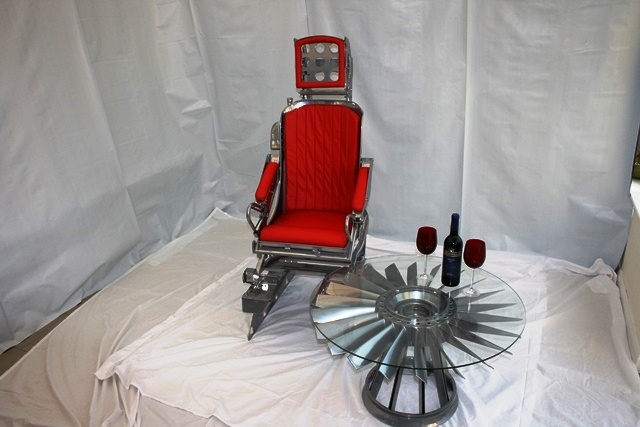 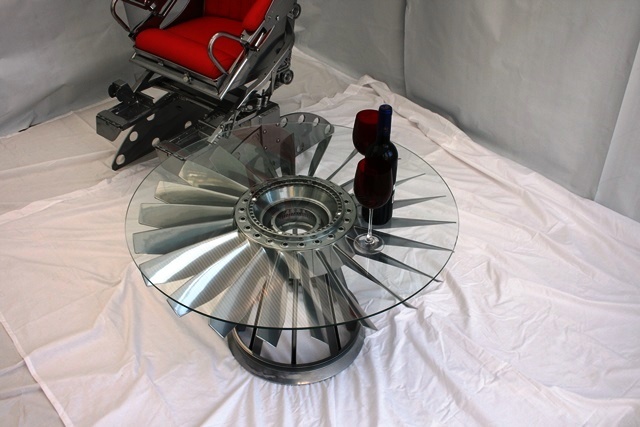 Vintage Aircraft Furniture is very pleased to present the latest in precision engineering transformed into designer home and office furniture. 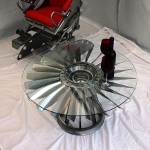 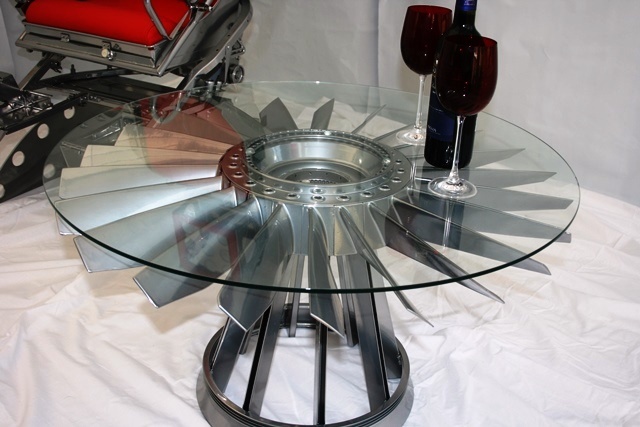 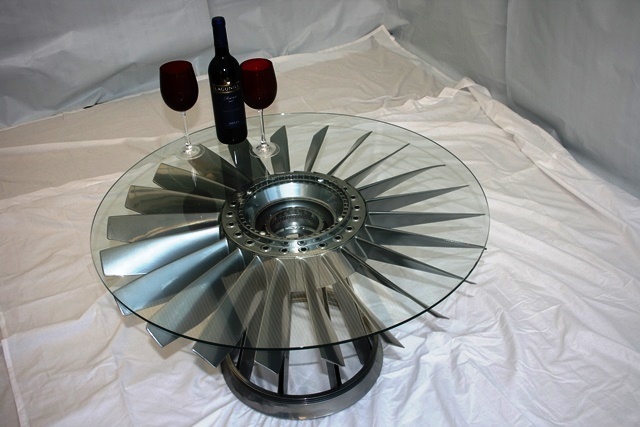 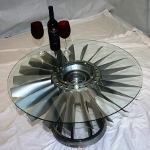 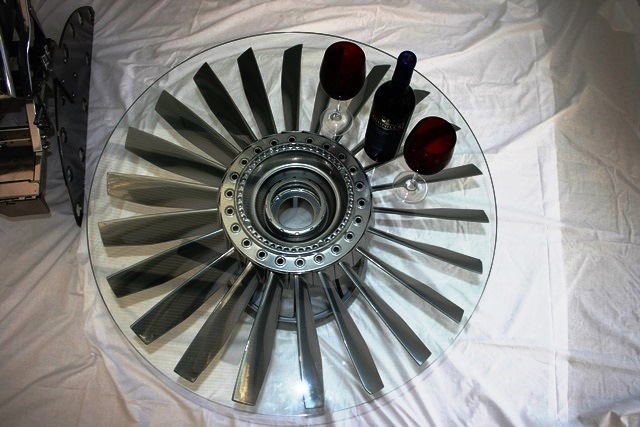 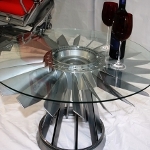 This Jet Fan Blade has been upcycled into a unique one off coffee table. 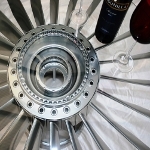 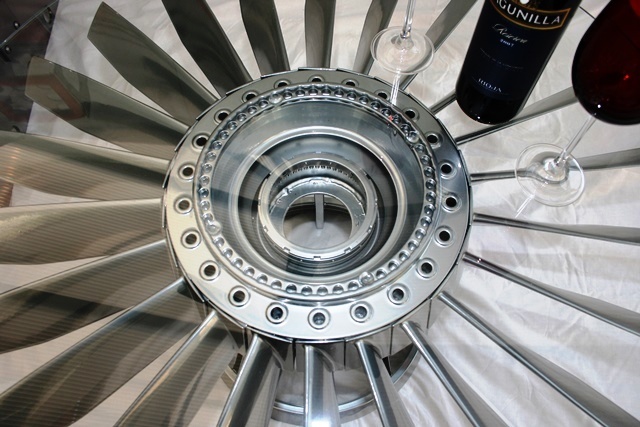 The fan blades are a component part of the Rolls Royce Jet Engine and are the result of superb engineering. 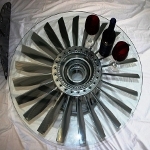 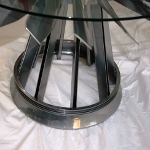 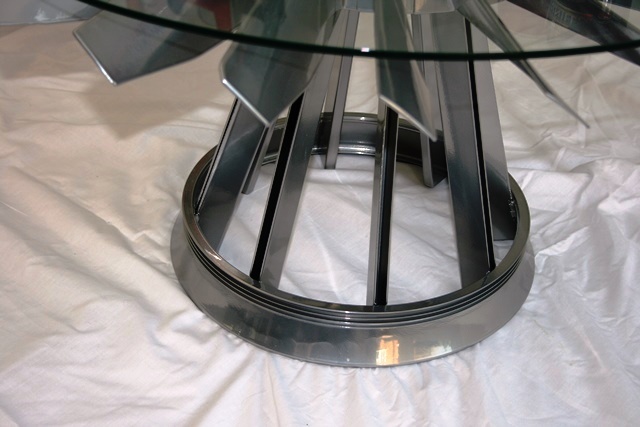 It has been mounted on a base and 6mm piece of toughened glass mounted on the top, the chrome finish makes this a stand out piece of aviation history.